How intelligent analytics and big data can shape Service Management and Service Desks as we know it. 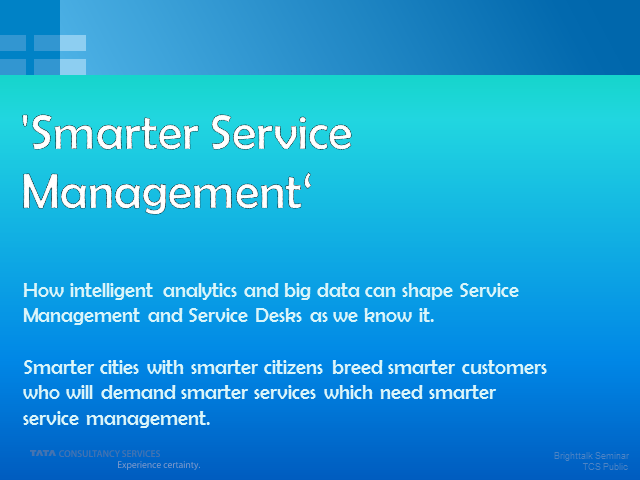 Smarter cities with smarter citizens breed smarter customers who will demand smarter services which needs smarter service management. This presentation touches upon how the use of intelligent analytics can assist you in making better decisions when it comes to IT operations and service management by optimising your processes and procedures.